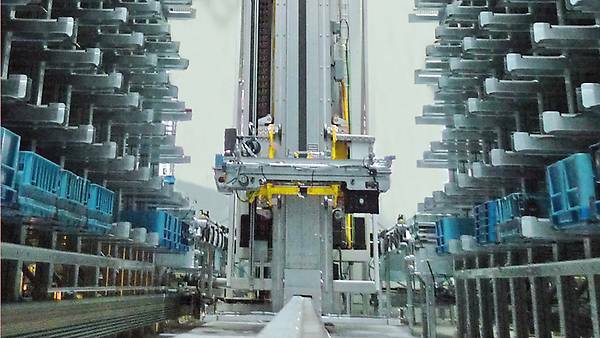 Servo drive technology and a sophisticated safety concept contributed to Winkel's technical innovation. Storage density and handling capacity are the two essential requirements for warehouse operators. A new design provided lighter Winkel stacker cranes, eliminated the need for buffers and ensured shorter approach distances. 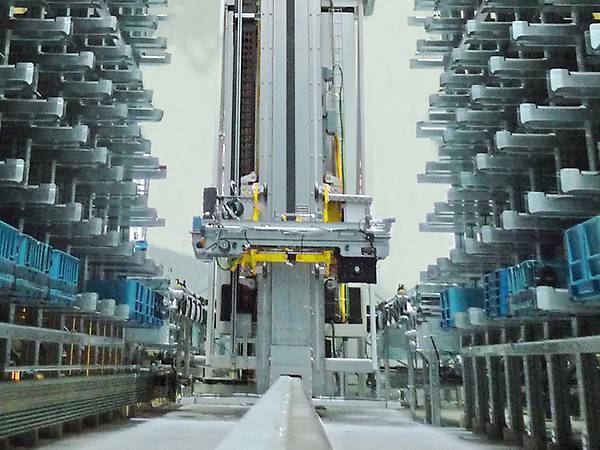 Winkel GmbH supplies intralogistics system integrators and has been operating in heavy duty linear technology for over 30 years. The employees of the company from Illingen in Württemberg have extensive experience in the design and assembly of stacker cranes. Our safety components and modern drive technology helped Winkel develop an innovative drive concept for SRS. This new concept allowed the customer to achieve much better approach distances, higher mast stiffness and reduced mass. This naturally also resulted in a lower energy requirement. Storage density and handling capacity are the two essential requirements for warehouse operators. Stacker cranes are often driven by two motors, which transfer drive force to the rail by a friction connection. This means that wear is unavoidable, as the driving rollers can slip during friction contact. 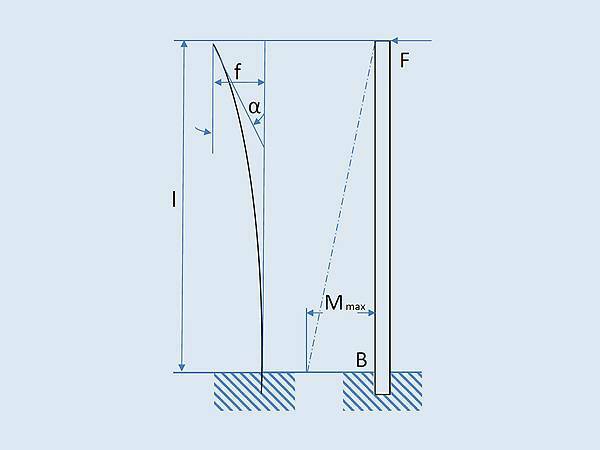 Depending on the position of the lift truck, the center of gravity of the SRS load is either at the bottom, in the center or, in the worst case, at the top of the mast. In this case, pendulum oscillations arise during the acceleration processes. Conventional drive concepts use the motor to compensate for these oscillations. This means that the drive needs to be specially designed for this maximum deflection. 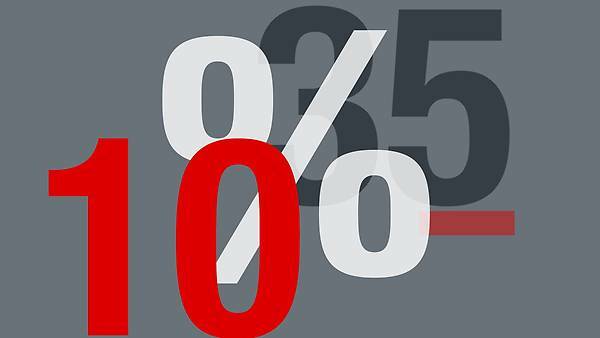 For project planning, this means about 25 to 30% more drive power for gearmotors and frequency inverters, which also results in higher procurement costs. Winkel takes a different approach to their Colibri SRS. In this new drive concept, the top and bottom of the mast is positively driven by a cardan shaft via a gear wheel and gear rack. This provides double the protection and achieves better deformation values. For this drive solution, the maximum worst-case load is at the center of the mast. 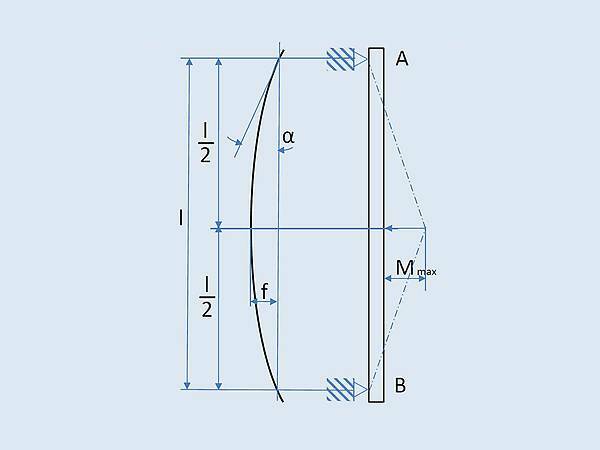 This means that the lever arm load is reduced by half and the bending moment by three quarters for the same load conditions. 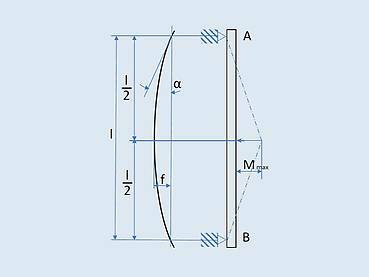 Bending is reduced by a factor of 16, which is representative of the oscillation. This allows the construction of the SRS to be many times lighter and stiffer. It also allows drives with a lower current consumption to be used. Winkel used our parallel-shaft gearmotor (F87 parallel-shaft gear unit with DRL.. asynchronous servomotor) and our MOVIAXIS® MXA81A multi-axis servo inverter for the travel drive. Conventional stacker cranes use hydraulic aisle end buffers. This requires an approach distance - a horizontal buffer zone between the rack and the wall of the building. The distance to the wall differs depending on the length of the buffer. The Winkel / SEW-EURODRIVE safety technology in the new drive concept allows for better approach distances. This eliminates the hydraulic buffer and removes the overrun area. It operates completely independently from the drive technology. The UCS12B MOVISAFE® safety monitor evaluates the absolute encoder signals. It also monitors the operating travel curve and allows movement to the safety limited positions (SLP). The system performs a functional brake test at regular intervals. The safety brake system meets the requirements for performance level “d” as defined in EN ISO 13849-1. This solution and its compliance with the standard was certified by TÜV Südwest, as an independent test center. The stacker crane needs to travel slightly outside the aisle in order to reach the last compartment with the load bearing device. This requires the rail to project slightly from the rack. That is why a superstructure is required as means of support. For this new drive concept, the Winkel SRS is shorter, which also allows for a shorter, or even no superstructure. 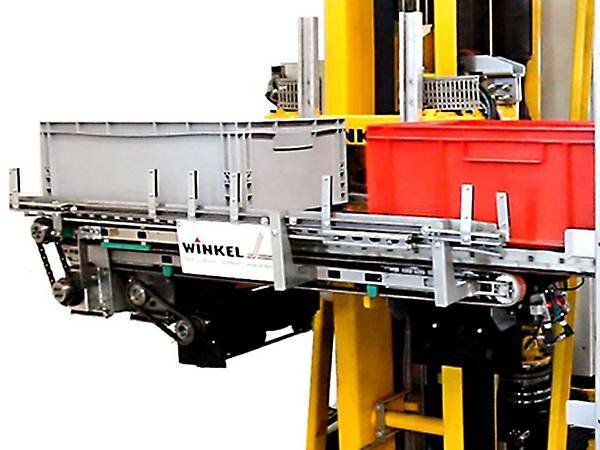 Better approach distances, reduced mass and energy saving were essential for Winkel. The stacker crane had to be lighter and eliminate the requirement for a buffer. Our drive and safety technology for the new Winkel concept for small part SRS allowed for a mass reduction of 10 to 35% compared to conventional stacker cranes, together with a lower energy requirement. This saves space. These space savings, allow more space for the goods. Thanks to its light-weight design, the Colibri SRS is able to achieve better dynamics and a higher handling rate. The resulting storage density is 8 - 15% higher than conventional solutions. The warehouse operator has lower costs for the SRS, racks, receivals zone and IT. Do you need advice on a specific application? Just send us a message with your questions.